The river Orne and the surrounding environment are breathtaking creating an idyllic setting. 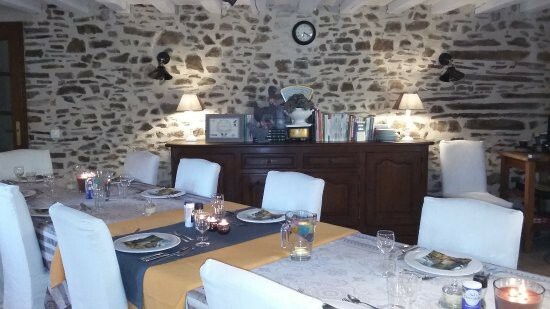 It is Welcome to our bed and breakfast L'Ancien Pressoir, situated in the village Ménil-Hermei. The typical Normandy style house is more than 200 years old. Upon arrival you are able to enjoy the peace and tranquility, the authenticity of the environment within a cozy atmosphere. The large garden with hottub invites to enjoy endlessly. To make the picture complete, you find picturesque villages hidden in the valleys and hills. a paradise for water sport enthousiasts who are able to discover hidden betweenlandscapes by kayak or canoe. The rocky environment creates a perfect setting for nordic walking, horse riding, mountain biking and rock climbing. After a fruitful day, you are able to gather around the dinning table indoors or in the garden and taste the products of the region. Room 1: 75.00 euro / 2 pers. Room 2: 80.00 euro - 2 pers. / 110.00 euro - 3 pers. / 140.00 euro - 4 pers. Room 3: 80.00 euro / 2 pers. Room 4: 80.00 euro / 2 pers. No experiences yet with L'Ancien Pressoir. Be the first! 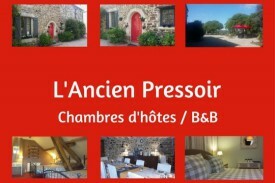 Did you stay in L'Ancien Pressoir? Let us know what you thought about it and help others to make the right choice! * I confirm having stayed in L'Ancien Pressoir. Find other bed & breakfasts in Ménil-Hermei or all bed & breakfasts in Lower Normandy.